Celebrate the beginning and the milestone years along the way with our thoughtful wedding and anniversary gifts. 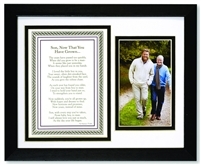 With framed wedding poems, anniversary photo frames and special 50th anniversary photo gifts, you will surely find a gift the couple will not already own. Bride and grooms can browse our sentimental gifts for their wedding party, including mother of the bride gifts, mother in law gifts and touching gifts for dad of the bride. 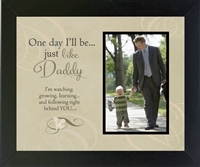 Our Dancing with Daddy frame is a bridal favorite, one dad's have a hard time reading without a few tears. 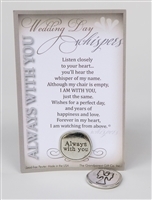 Shop our mirrored compacts with laser engraving and sentiments for the special women in your bridal party. 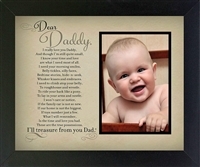 Have fun with our new Kiss the Bride frame, sure to always make you smile.